View from cliffs above the pueblo. 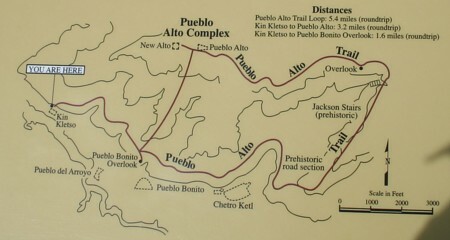 Looking south from Kin Kletso trailhead. 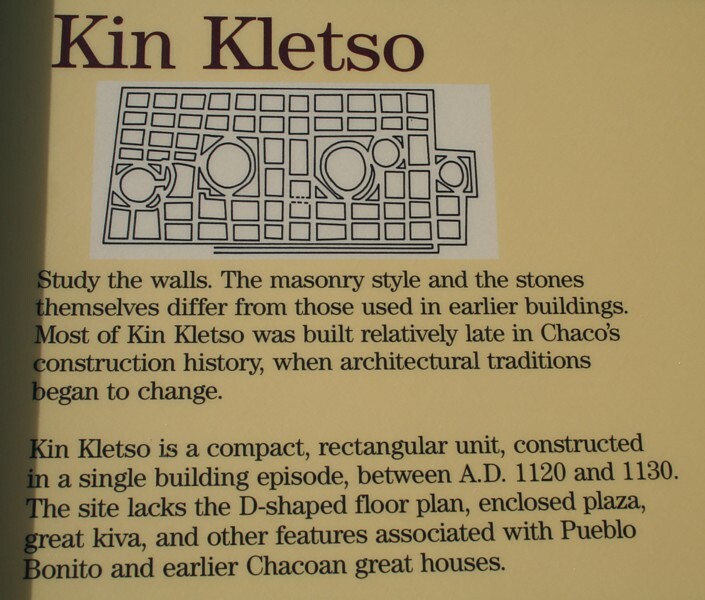 Interpretation plaque with pueblo plan. 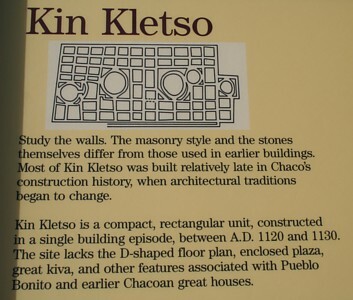 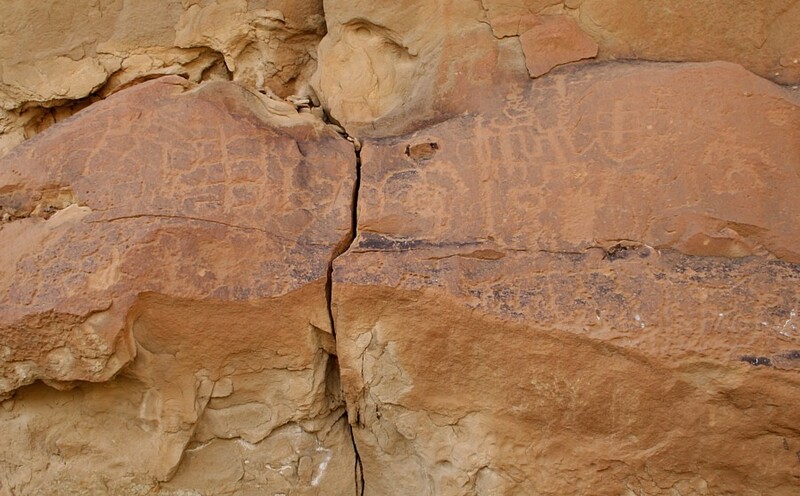 West end wall of Kin Kletso. 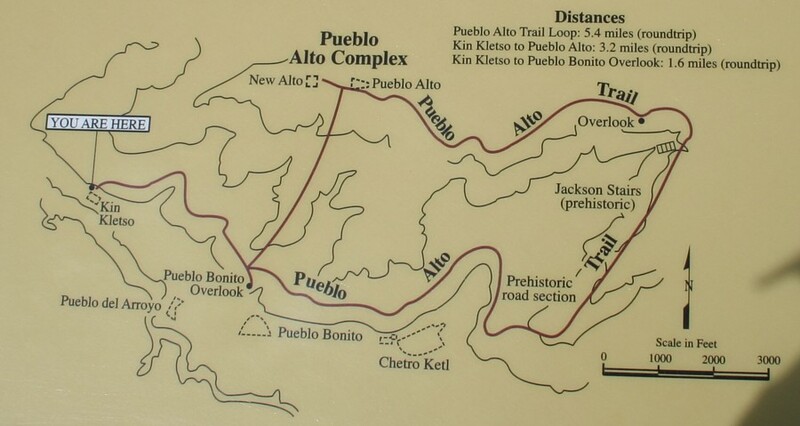 Map at Kin Kletso trailhead to Pueblo Bonito overlook and Pueblo Alto. 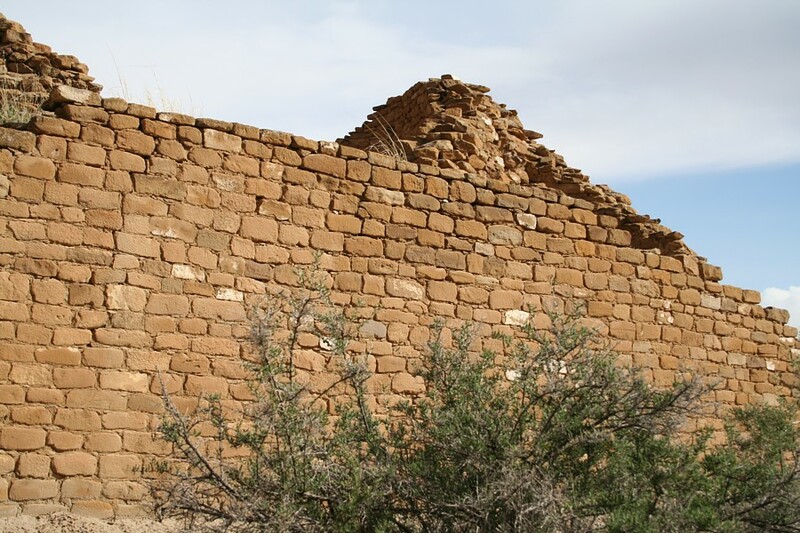 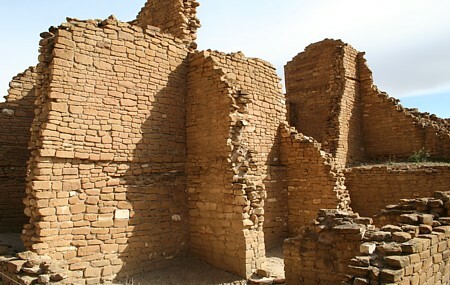 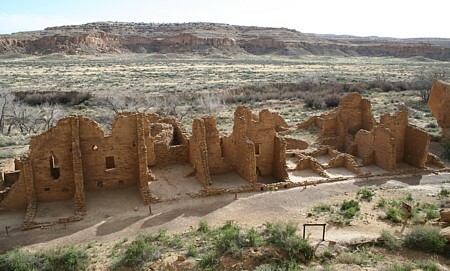 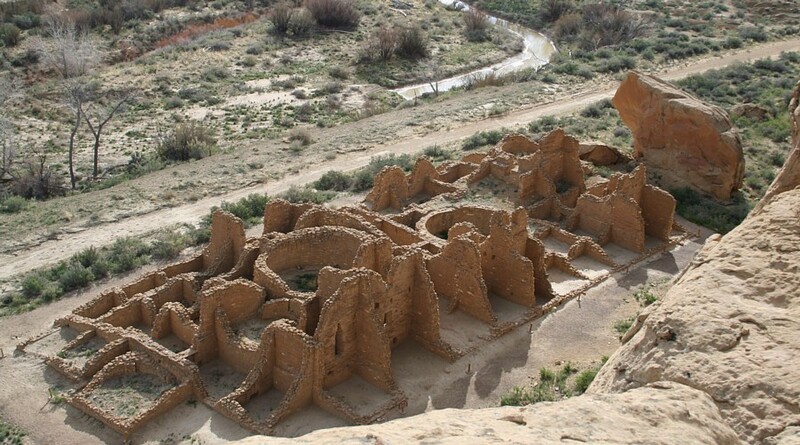 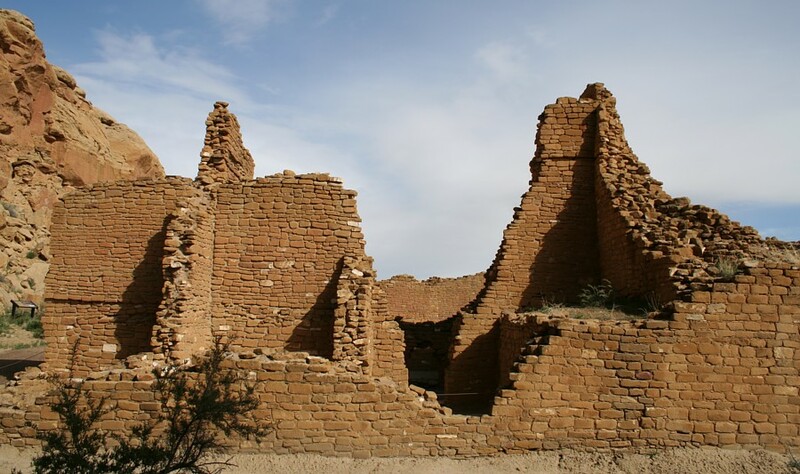 Chaco Culture National Historical Park in Northwestern New Mexico contains a dozen Great Houses.